Is Bonneville Salt Flat Mark Next To Fall To Volkswagen? Volkswagen, having just won three major speed marks, is seeking yet another next month in Utah as the 2019 Jetta GLI will compete for best time on the great Bonneville Salt Lake. It has been a banner year for Volkswagen. For example, roughly two weeks ago, the automaker set a new mark for the Nurburgring’s Nordschleife and, not to be outdone, VW Motorsports, ran a brand-new single-seater up Pikes Peak and, in doing so, trashed the record for the hill climb. At the Nurburgring, VW erased a single lap time that dates from 2003. Interestingly, VW owned the 2003 record. And, at Belgium’s Spa track, VW set a single-lap record as well. 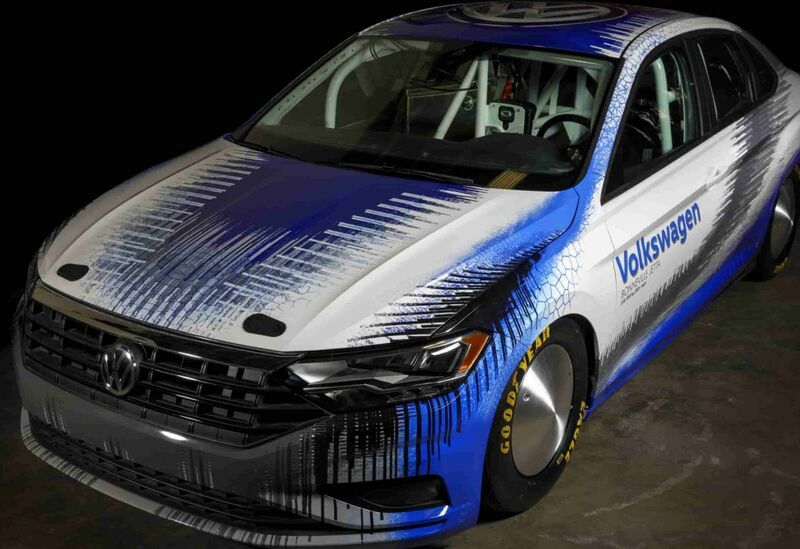 In another record attempt, VW of America (VWofA) has announced that it will run a specially tuned 2019 Volkswagen Jetta to shatter the BGC/G class record on the Bonneville Salt Flats in Wendover, Utah. The Bonneville Jetta will use a modified version of VW’s EA888 2.0-liter turbocharged and direct injection four-cylinder powerplant. The Southern California Tuning Association is backing the weeklong speed attempts. THR Manufacturing, a Bonneville preparation specialist, based in Ventura, Calif., has tuned a 2019 Jetta that will run on the great salt lake. THR modified the VW engine that will make the record effort. The same powerplant is set to be standard on the Jetta GLI performance model. VW is hopeful the new model can beat the existing class record of 208.472 mph. VW hopes the record attempt will show the potential performance of the EA888 engine. The tuning effort shows what modifications and what it can achieve with some modifications, as well as the Jetta’s exceptionally aerodynamic shape. Indeed, the Jetta’s drag coefficient is a very lean 0.27. To make the run on the famed salt flat, the Bonneville Jetta has had many changes from stock. For example, the tuner lowered the suspension; and the tuner fitted unique Salt Flat wheels and tires. Finally, a limited-slip differential has been added to increase traction. Also, the tuning specialist gutted the interior and outfitted full safety equipment. The equipment includes a full roll cage, racing seat and harness and a fire-suppression system. And, to help the Jetta slow down, it has been fitted with a pair of parachutes.